MY DAD DIED a month ago today, February 18, 2012. EXACTLY ONE MONTH ago this evening I sat at this computer, cobbling together this global health web site. I’d been typing and coding since early morning, background TV blaring a weepy funeral service for singer-diva Whitney Houston. Her death certificate blamed drowning, but the bigger blame was also Whitney’s deadly fondness for cocaine. I wondered if Whitney had lived somewhere else–a place safe from drugs, equal to a bodyguard protecting her from such addictive temptations — would she be alive today? Even for the rich, has Whitney proved a global health lesson that where you live–and the lifestyle influences of that ‘spirit of place’–affects your health, and your death? As Whitney’s farewell unfolded, I sat here writing about health determinants in global health: where you live; your lifestyle; your wealth; your ease of access to medical care; and the quality of that care. They all shape your health, and a nation’s health. FOR SOME REASON unknown to me the doctor grew cautious. A million miles away from Seattle, things weren’t adding up. The doctor told Mom maybe let’s be safe and fine-tune Dad with a temporary pacemaker, just in case. But oops: it’s Saturday. Oops: it’s Presidents’ Day weekend. Oops: We need approval from Medicare before we do this, or they might not cover it. Too bad their offices are closed until Tuesday. So hang tight ’til Tuesday, Dad — and you’ll go home with a pacemaker prize! Instead, Dad was talking on the hospital phone with my sister. Then “I don’t feel so good.” Dad dropped the phone, cord dangling. A blur: code-blue emergency surgery, pacemaker permission be damned. Too late: Dad’s heart simply stopped. It stopped like when a horse lies down, and then…simply… dies. Dad was dead. DAD’S DEATH CERTIFICATE blames myocardial infarction, but the bigger blame might be healthcare red tape, like permission for a pacemaker. 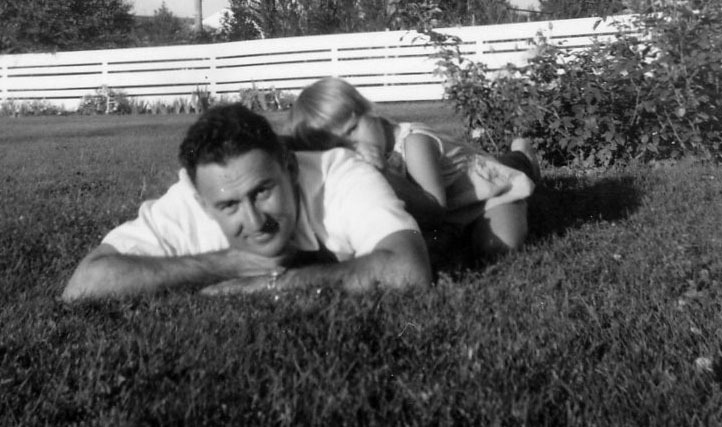 I wonder if Dad had lived somewhere else like Norway, land of his ancestors–a place safe, equal to a medical-system bodyguard who protected him from such healthcare red tape — would he be alive today? Even for an average American, has Dad proved a global health lesson that where you live–and the health-care influences of that ‘spirit of place’–affects your health, and your death?